Butterfly is famous for its vibrant colors. 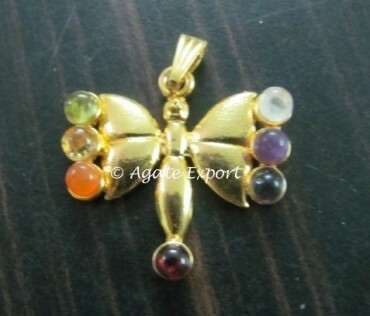 Similarly, chakra butterfly pendant will make your life colorful. The chakra stones on this pendant are arranged on the edge of the wings. Contact Agate Export for this beautiful pendant.